Solo jazz piano interpretations of eleven Beatles classics, including Yesterday, Hey Jude, Eleanor Rigby and Norwegian Wood. In the early 1960's, four musicians from Liverpool burst onto the music scene. The Beatles' special talent for combining melody, rhythm, and lyrics helped to produce a new musical form, and gave the world some of the most popular songs in the history of recorded music. 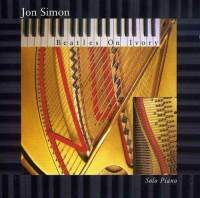 On this recording, Jon Simon celebrates these songs with his extraordinary piano technique and improvisational style. Journey back with these magical interpretations of eleven timeless classics.